Als Mike Oldfield Fanboy geht Rob Reed (Magenta, Kompendium) mit seinem Soloalbum "Sanctuary" auf die Suche nach dem Spirit von "Tubular Bells". Unterstützung erfuhr er dabei vom "Tubular Bells" Originalproduzenten Tom Newmann und das Ergebnis ist beeindruckend. Die limitierte Erstausgabe enthält neben der CD noch eine DVD5 ( NTSC/Multi region) mit Promovideos, 5.1 Mix und Hi Rez Audioversionen. Multi-instrumentalist, producer and composer Robert Reed (Magenta/Kompendium), announces the release of a unique new album, Sanctuary, on 21st July through Tigermoth Records. 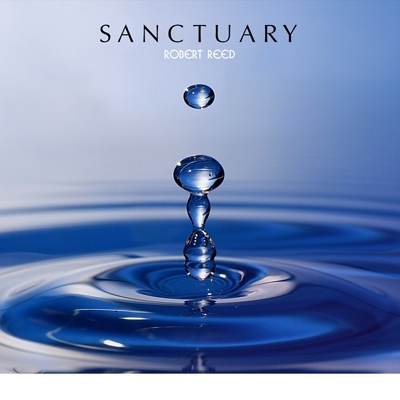 Sanctuary is produced, mixed and engineered by Robert Reed, who is joined by legendary Tubular Bells producers Tom Newman (as co-producer) and Simon Heyworth, who mastered the album. The album will be released in 3 formats: CD, vinyl and DVD 5.1 surround. Rob Reed was inspired to become a musician and composer at the age of seven after discovering Mike Oldfield’s Tubular Bells. So inspired was he by the album, that he learned to play not just one, but all the instruments featured on the album. Sanctuary is the fruition of a decision that Rob made in January 2013 to utilize his abilities as a multi-instrumentalist and create an album in the style of Tubular Bells; he recalls: “The next four weeks were a blur as the music just came out. It turned out to be the most enjoyable album I’ve made. I wanted to play all the instruments, and for a l of them to be real; no synthesized or sampled instruments, just the real thing.” Rob Reed was determined to keep his vision of Sanctuary intact and play all the instruments himself: “I just had a blind confidence that I could play them all. I owned all the guitars, etc in my own studio but had to hire the larger percussion instruments, like timpani’s and tubular bells, so the lead percussionist of the Welsh National Orchestra turned up with a lorry full of the most expensive percussion. For two days he frowned as I made my way through playing these instruments, like a kid in a sweet shop. Whenever I struggled he continued to ask if I wanted him to play them. I replied that I couldn’t, as it would break the pledge of making the album by myself…. Everything is played by hand by myself, except for guest vocalists, Synergy Vocals.” Reed was conscious that he was treading a fine line in preventing Sanctuary becoming a pastiche of Tubular Bells. He continues: “I worked hard to make the melodies stand on their own. I wanted to capture the emotion that Mike Oldfield managed to communicate through his playing that replaces lyrics. I wanted to use voices, but not have lyrics; just vowels combined with nonsensical words. Synergy Vocals were accustomed to this, having worked with Philip Glass and Steve Reich.” Reed secured the collaboration of Tubular Bells producers Tom Newman and Simon Heyworth after seeking their seal of approval. Reed comments: “Simon told me when he heard it, he closed his eyes and was back in the Manor Studios in 1973 and commented on how well it was executed. I contacted Tom to ask if he could offer any advice on the mix or production, and when we finally spoke, he was really complimentary and offered to get involved in the production and mixing; he also had loads of ideas about structure and arrangements. He has been invaluable with his insight and was always there when I was struggling to finish the album. All the timing errors and tuning errors are left in… it was real”. Tom Newman says: “I really enjoyed working on this - I had carte blanche and just enjoyed sculpting the sounds into shape, and placing all the beautifully crafted parts in the right places in the musical landscape . . .” The result is an astounding piece of emotional instrumental music .